USDA Certified Organic Soybean Oil promotes youthful skin due to its moisturizing capabilities that nourishes and restores dry skin and damaged hair. Organic cold pressed soybean oil contains high levels of essential fatty acids and vitamins that promote soft, moisturized skin and luscious locks. Organic Soybean Oil wholesale is also available. Is organic soybean oil bad for you? Definitely not! Organic cold pressed soybean oil promotes healthy skin and hair by maintaining the moisture levels and helping restore the skin’s moisture barrier. Soybean oil is rich in Vitamin E, meaning that it helps fight free radicals to maintain a youthful appearance. Vitamin E also helps with reducing the appearance of uneven skin and hyperpigmentation. Use the oil after a shower or bath to help lock in moisture into your skin. Apply the oil around cuticles as well to reduce dryness. 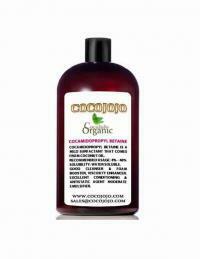 Organic cold pressed soybean oil is also great to use on hair! Apply soybean oil as a hair mask to restore hair’s shine and strength. 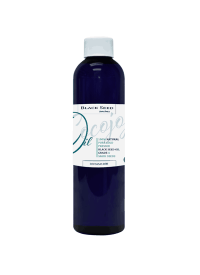 It also promotes new hair growth and hair volume due to how nourishing the oil is. Allow the oil to deep condition your hair by generously applying the oil into your hair, and give the oil time to absorb into hair strands. With regular usage, your split-ends may fade, and you may notice healthier-looking hair. Organic soybean oil wholesale is available for bulk orders. Try our certified organic cold pressed soybean oil today! Also check out our other USDA certified organic products!